Animals cannot tell their owners when they are thirsty, and recognizing the signs of dehydration in different animals is crucial for pet owners, farmers and livestock handlers to ensure the animals are properly hydrated to stay healthy, particularly during hot summer months. Many animals show similar dehydration symptoms, and recognizing the signs of trouble is the first step toward getting the animal appropriate help. While not all animals will show every sign of dehydration even when their fluid levels are dropping, it is important to take steps to correct dehydration as soon as it is noticed. Provide your animal with fresh, clean water right away, but do not force them to drink – if the dehydration is severe, subcutaneous fluids or intravenous fluids may be necessary for recovery, and it is critical to get the animal to a veterinarian right away. Keep the animal cool and calm, using a damp rag to moisten their mouth without drinking if necessary. The vet can properly diagnose dehydration and take emergency steps to help the animal recover. 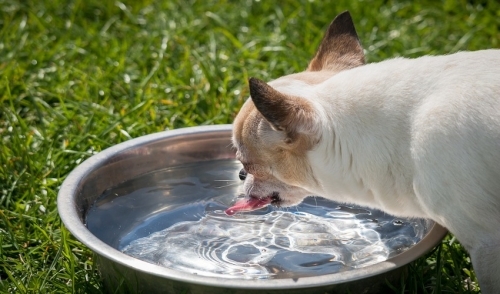 By recognizing the signs of dehydration early, it is possible to save an animal's life when it begins to be dehydrated.